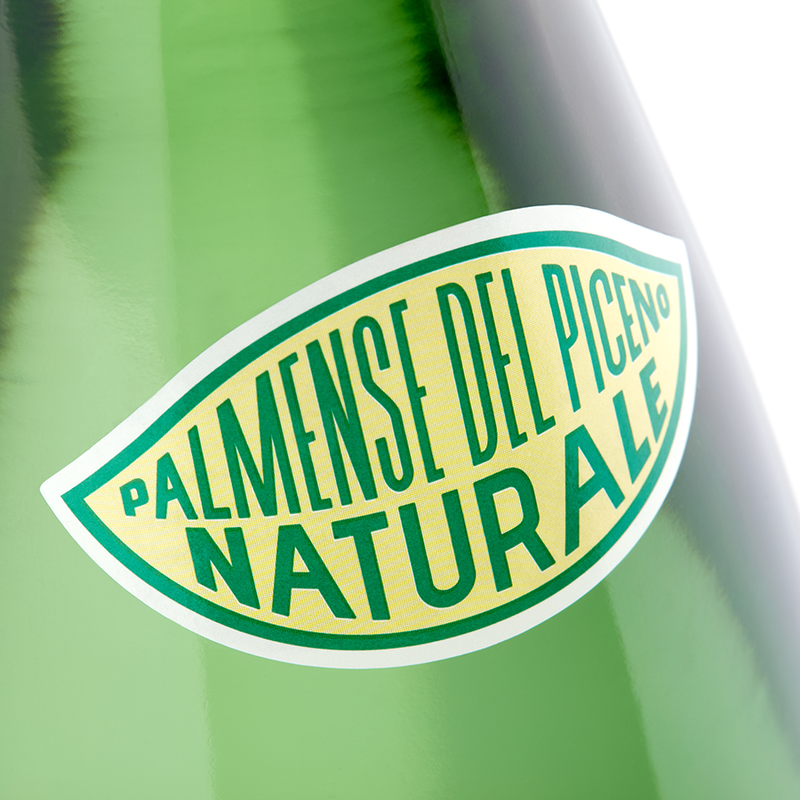 The precious labelling, with the distinctive and iconic design of the Fonte di Palme Premium Mineral Water, evokes the history of the very ancient city of Palma, the regional capital of Ager Palmensis, the territory identified by ‘Plinio il Vecchio’ in the southern part of the Roman region of Piceno. 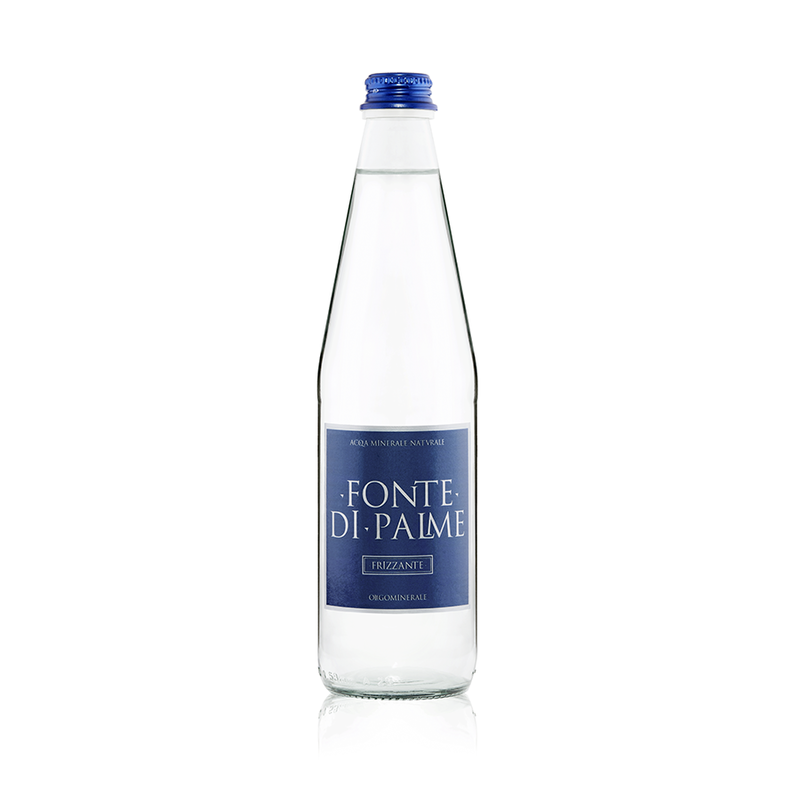 The water flows at a constant temperature of 14°C inside the property of over 50 hectares of a natural reserve that safeguards its purity. 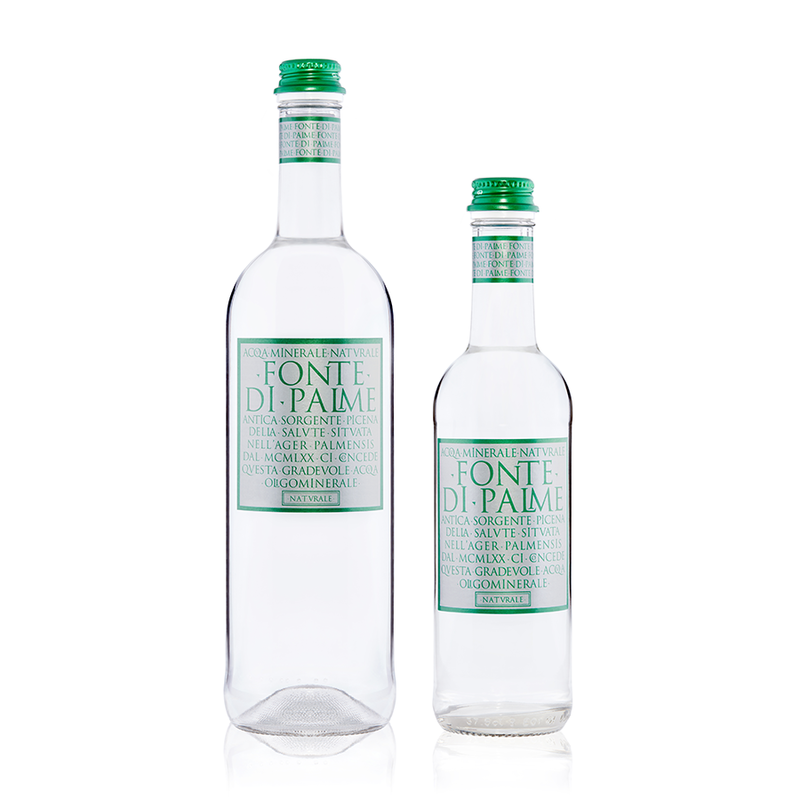 Thanks to a balanced presence of precious trace elements (with a prevalence of bicarbonate ions), it is a water with a soft and pleasant taste, best paired with recipes and wines that are not too structured. La preziosa veste dal design iconico e distintivo dell’Acqua Oligominerale Fonte di Palme Premium evoca la storia dell’antichissima città di Palma, capoluogo dell’Ager Palmensis, territorio identificato da Plinio il Vecchio nella parte meridionale della regione romana del Piceno. L’acqua sgorga ad una temperatura costante di 14°C all’interno di una proprietà di oltre 50 ettari di riserva naturale che ne salvaguarda la purezza. La particolarità dell’acqua è data da una equilibrata e persistente gasatura, possibile grazie alla presenza di oligoelementi, in prevalenza ioni bicarbonati, che tamponano l’acidità dell’anidride carbonica addizionata rendendola un’acqua facilmente digeribile e dal perlage piacevole. The precious labelling, with the distinctive and iconic design of the Fonte di Palme Premium Mineral Water, evokes the history of the very ancient city of Palma, regional capital of Ager Palmensis, the territory identified by ‘Plinio il Vecchio’ in the southern part of the Roman region of Piceno. The water flows at a constant temperature of14°C inside the property of over 50 hectares of a natural reserve that safeguards its purity. 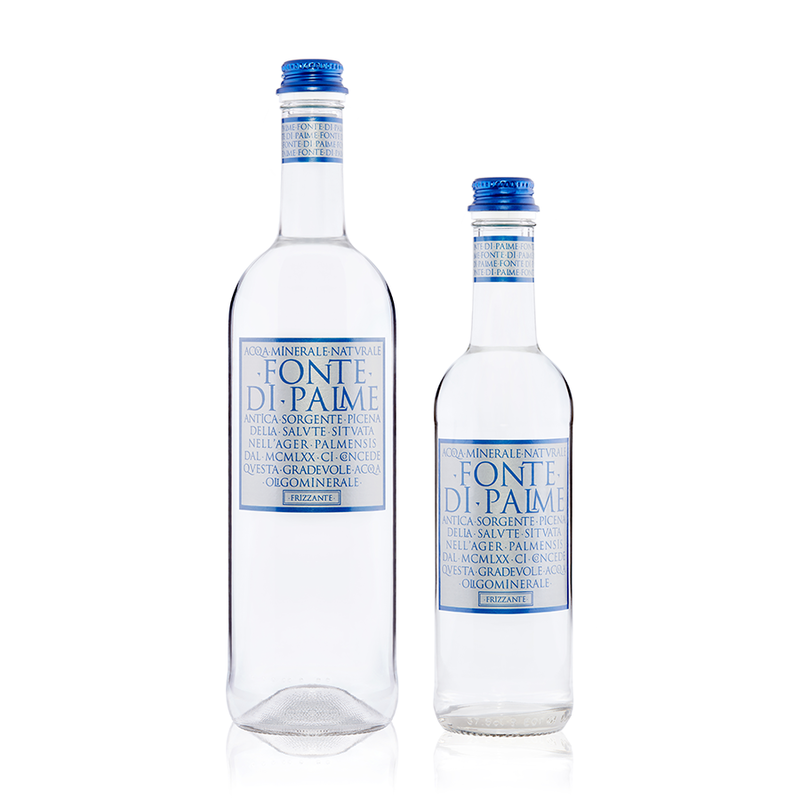 The particularity of this water is given by a balanced and persistent effervescence, which is possible thanks to the presence of trace elements. Its taste is fresh and pleasant to the palate and its perlage is light and delicate making the pleasure of dining more complete and satisfying. This water is best paired with recipes and wines that are more structured. 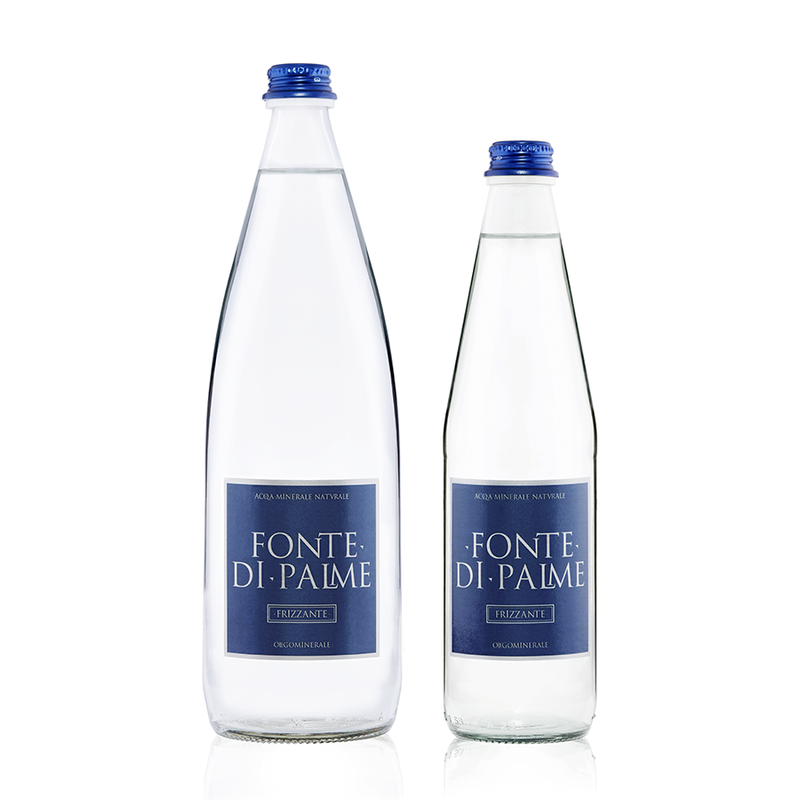 The precious labelling, with the distinctive and iconic design of the Fonte di Palme Premium Mineral Water, evokes the history of the very ancient city of Palma, regional capital of Ager Palmensis, the territory identified by ‘Plinio il Vecchio’ in the southern part of the Roman region of Piceno. 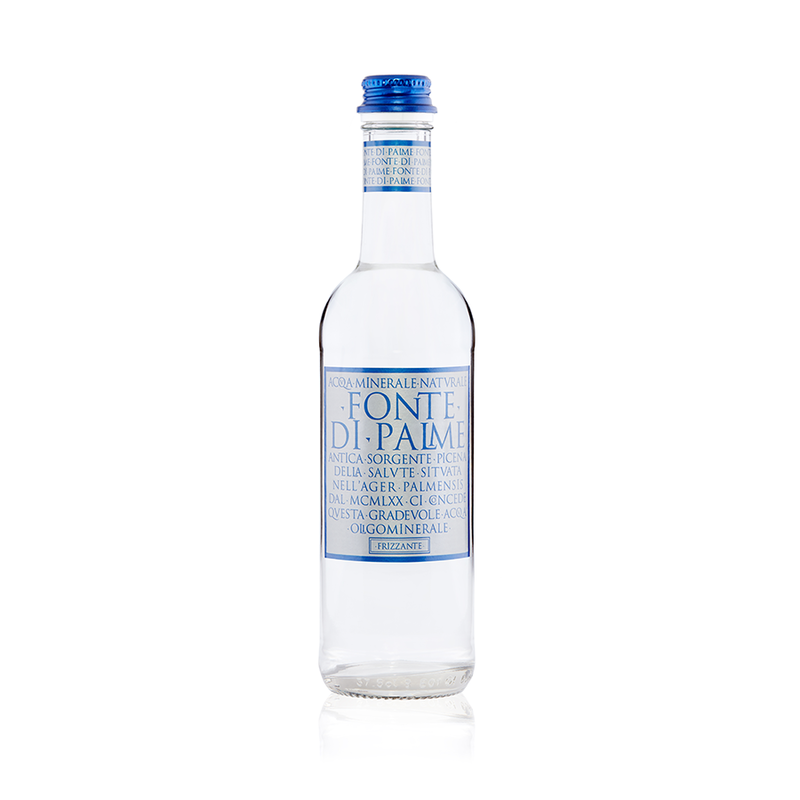 The water flows at a constant temperature of14°C inside the property of over 50 hectares of a natural reserve that safeguards its purity. 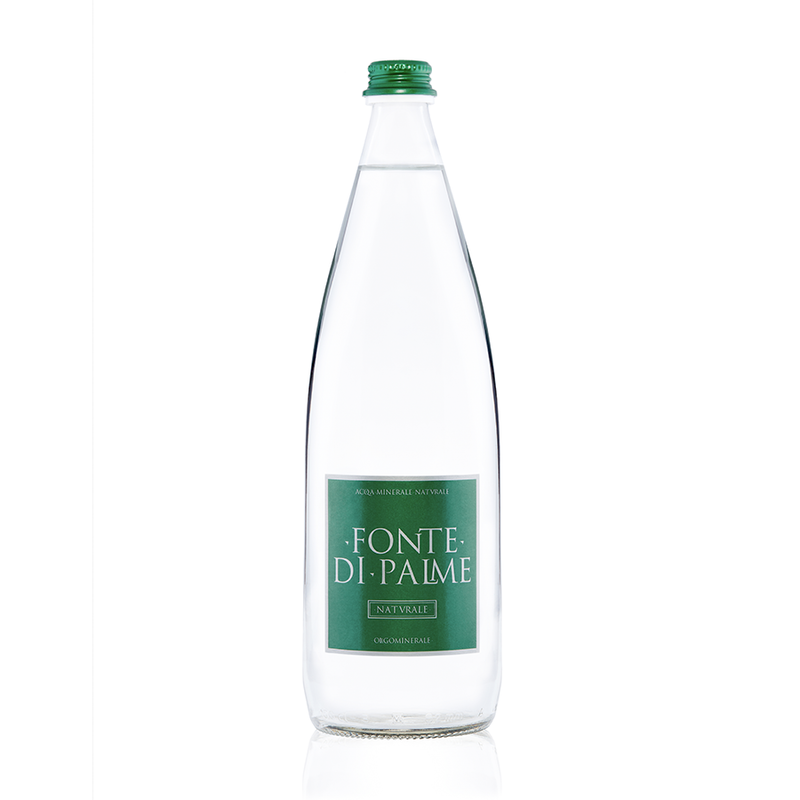 The particularity of this water is given by a balanced and persistent effervescence, which is possible thanks to the presence of trace elements. Its taste is fresh and pleasant to the palate and its perlage is light and delicate making the pleasure of dining more complete and satisfying. This water is best paired with recipes and wines that are more structured. 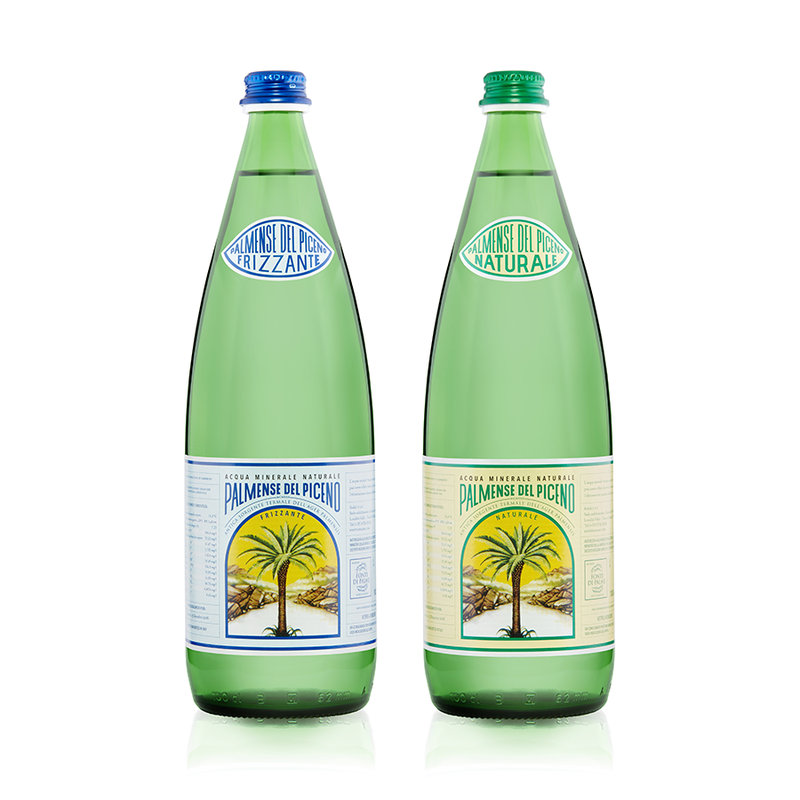 The Mineral Spa Water with alkaline bicarbonate-calcium, which has been used since 1950 as a hydroponic cure, comes from an ancient spring and flows at a constant temperature of16 °C. 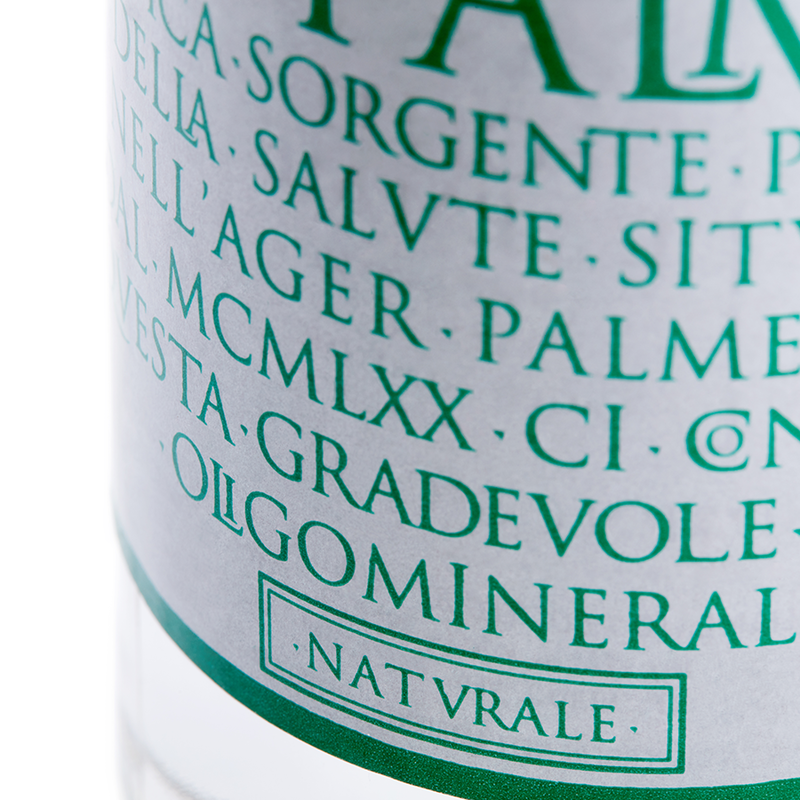 A seventy-year-old medical case study shows and confirms the therapeutic properties of Palmense del Piceno Mineral Spa Water in the presence of hyper uricaemia diseases and disorders of a digestive nature and above all those which are renal. 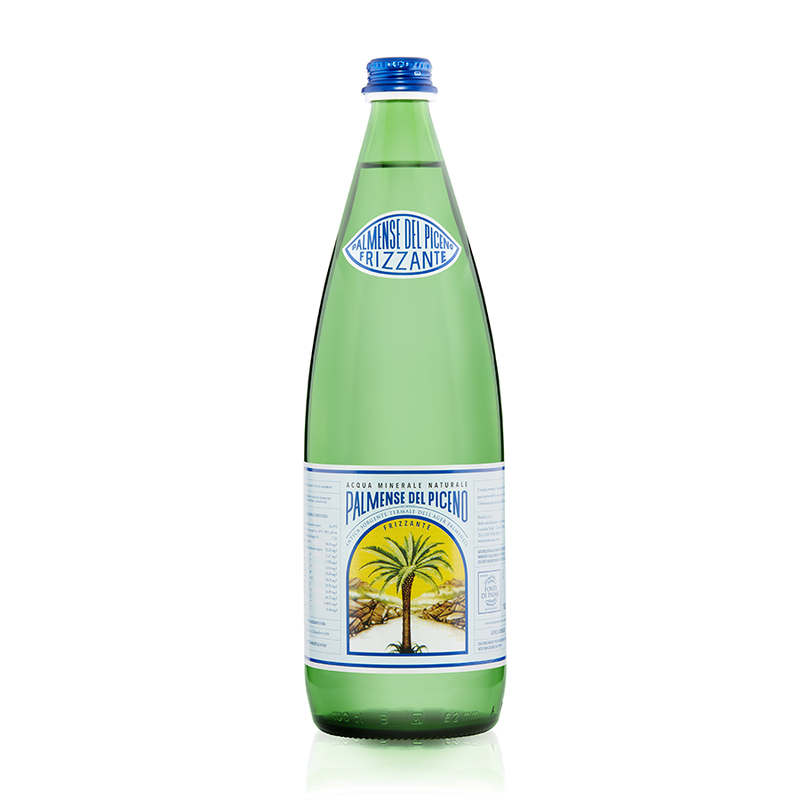 This water boasts a pleasant taste, as well as being easily digested thanks to its precious mineral salts, with a prevalence of bicarbonate ions. Thanks to its outstanding diuretic action it is advisable to be drunk slowly, on an empty stomach, in the required quantity for a period of 15/20 days, in order to purify the blood and free the urinary tract of gallstones and kidney stones. 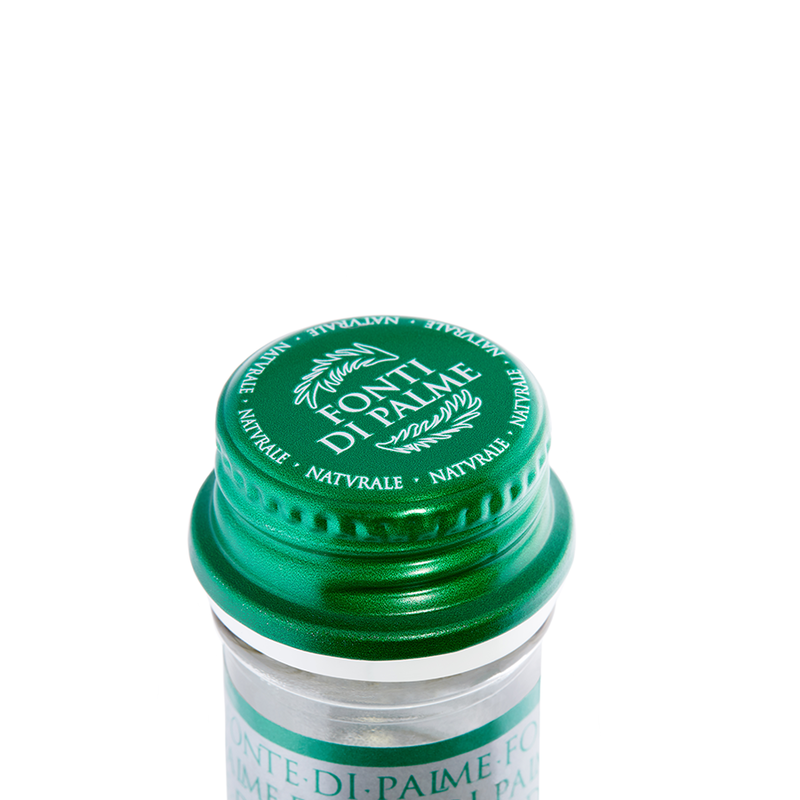 It is also indicated for health problems connected with an impaired uric acid metabolism (isolated hyperuricaemia and that associated with diabetes, obesity, mild hepatic insufficiency, hypersecretive gastritis, digestive dyspepsia of a pancreatic origin, acidosis on exertion, mild borderline hypertension, recurrent cystitis). 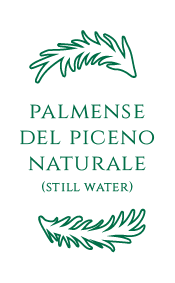 Palmense del Piceno Mineral Spa Water is also excellent for those who practice sport: in fact, its ions - calcium, magnesium, sodium, potassium, chlorides - help to reintegrate the electrolytes lost during perspiration. Calcium and magnesium help physical and mental recovery and the bicarbonate ion helps to eliminate lactic acid. Precisely thanks to its calcium content, it is also recommended for women, especially during pregnancy, breast-feeding and the menopause as a prevention to osteoporosis. 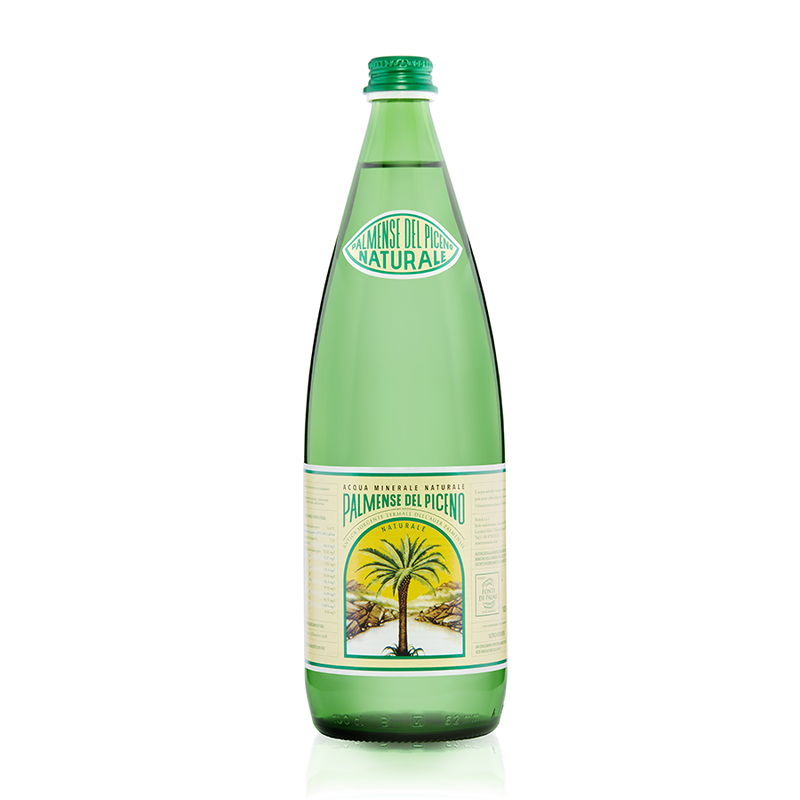 L’Antica Acqua Termale Palmense del Piceno è un prodotto storico e iconico, con importanti facoltà curative. La classica bottiglia verde e l’etichetta d’epoca evocano sentimenti e valori consolidati nel tempo. 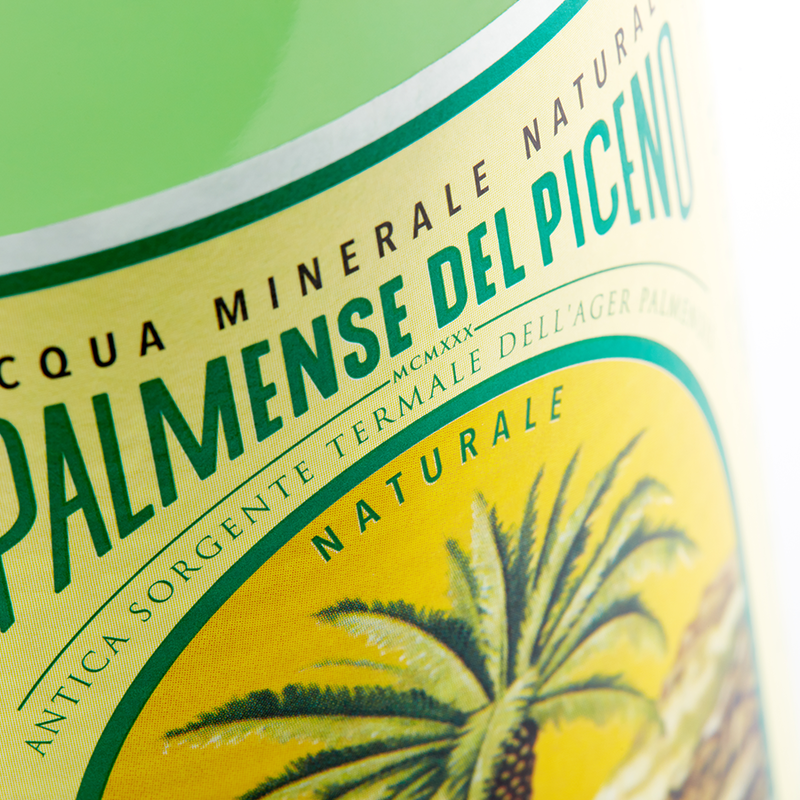 Palmense del Piceno Mineral Spa Water, an alkaline water rich in bicarbonate and calcium, is even available in a sparkling version characterized by a more vivacious, intense and persistent effervescence. L’Acqua Oligominerale Fonte di Palme grazie alla sua equilibrata composizione chimico-fisica e il suo gusto gradevole si propone come acqua da tavola ideale. È disponibile nel distintivo design della linea Premium rivolto alla ristorazione nei formati da 0,75L e 0,375L, ma anche nelle linee eleganti ed essenziali del formato Classico da 1L e 0,5L. L’Acqua Oligominerale Fonte di Palme sgorga ad una temperatura costante di 14°C all’interno di una proprietà di oltre 50 ettari di riserva naturale che ne salvaguarda la purezza. 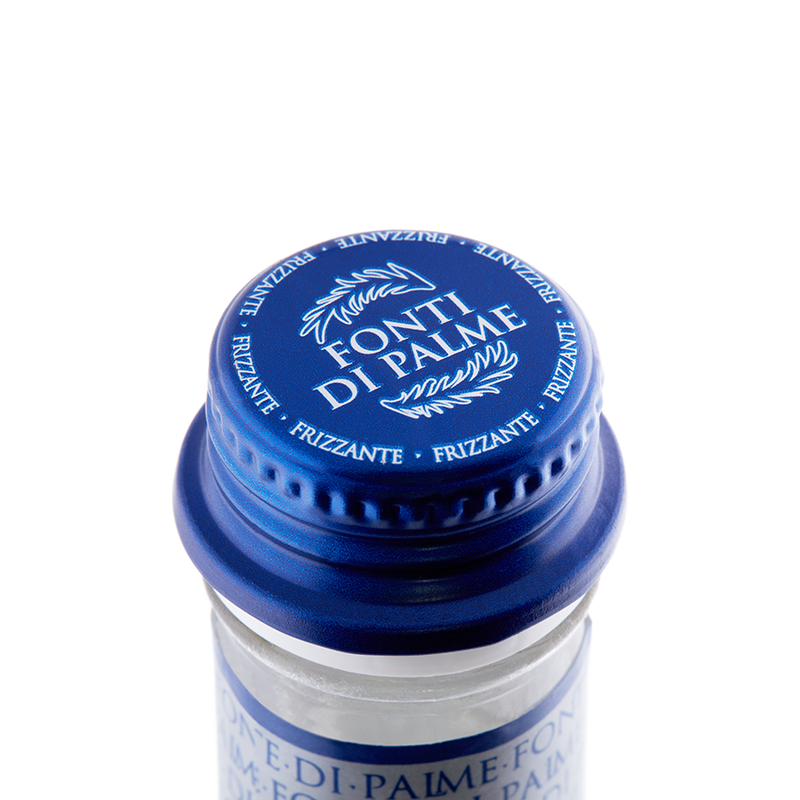 Grazie ad una equilibrata presenza di preziosi oligoelementi (con prevalenza di ioni bicarbonati), si presenta come acqua dal gusto morbido e gradevole, da accostare a ricette e vini non troppo strutturati. 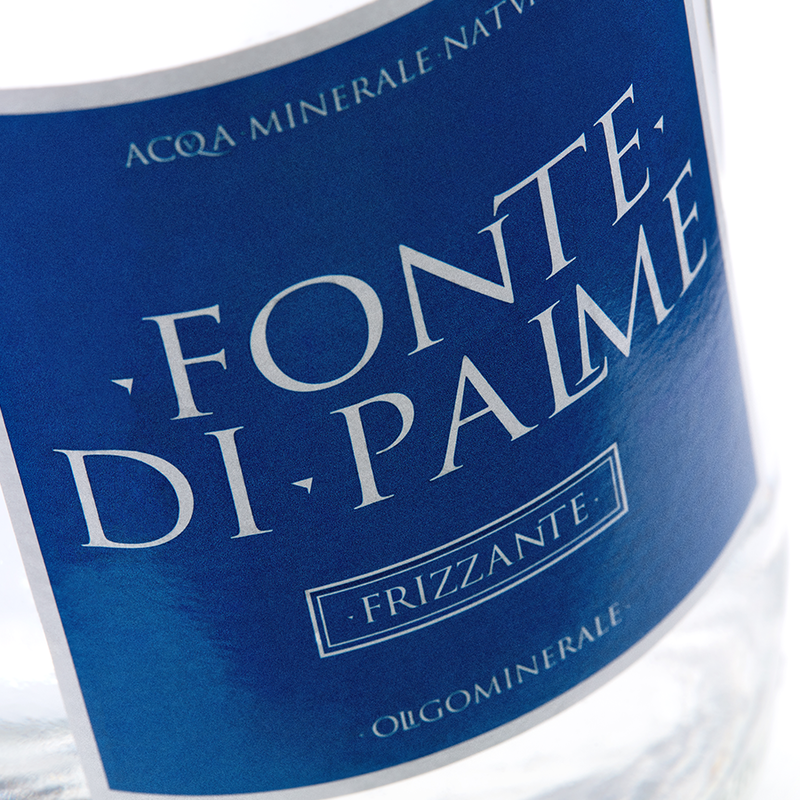 Fonte di Palme Mineral Water flows at a constant temperature of 14°C inside the property of over 50 hectares of a natural reserve that safeguards its purity. The particularity of this water is given by a balanced and persistent effervescence, which is possible thanks to the presence of trace elements. Its taste is fresh and pleasant to the palate and its perlage are light and delicate so as to make the pleasure of dining more complete and satisfying. 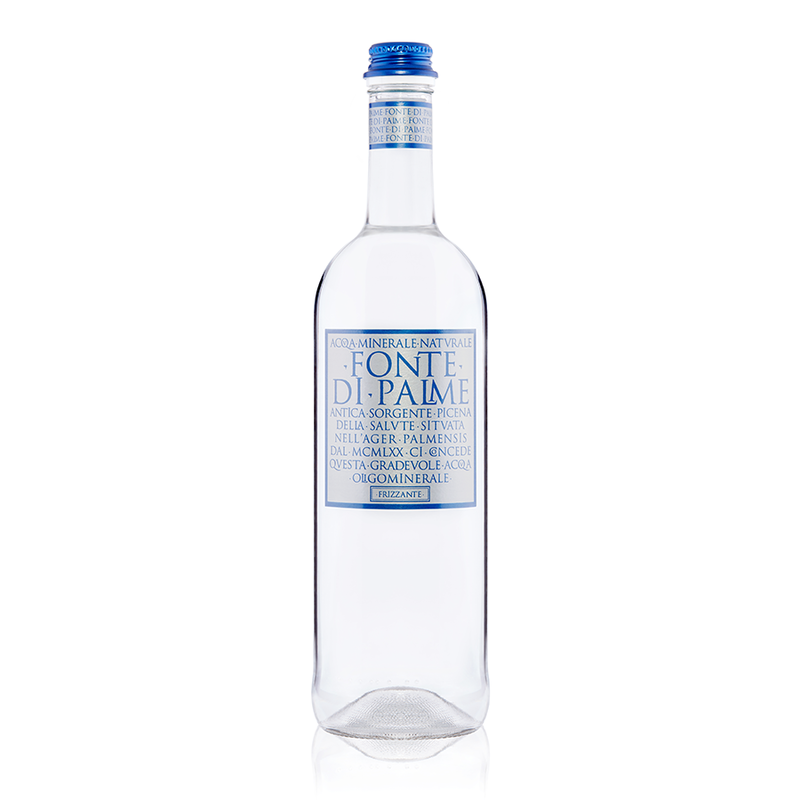 This water is best paired with recipes and wines that are more structured. L’Acqua Oligominerale Fonte di Palme sgorga ad una temperatura costante di 14°C all’interno di una proprietà di oltre 50 ettari di riserva naturale che ne salvaguarda la purezza. La particolarità di quest’acqua è data da una equilibrata e persistente gasatura, possibile grazie alla presenza di oligoelementi, in prevalenza ioni bicarbonati, che tamponano l’acidità dell’anidride carbonica addizionata rendendola un’acqua facilmente digeribile.